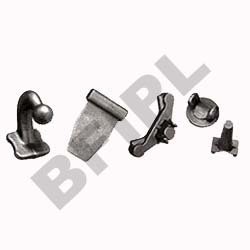 We are a leading OEM Manufacturer of industrial forged parts from Coimbatore, India. We proudly offer a wide range of premium quality Industrial Forged Parts. Products available with us are engineered with precision by our expert engineers. These products are manufactured using premium quality raw materials and latest machines. To ensure international standards, our products are quality tested stringently by our experts at each stage of development. Looking for Industrial Forged Parts ?